Promoting Values & Virtues in a Catholic School' explores the Catholic Schools Pupil Profile and the ways in which it can be used in the pupils' spiritual, moral, vocational, social and cultural development. 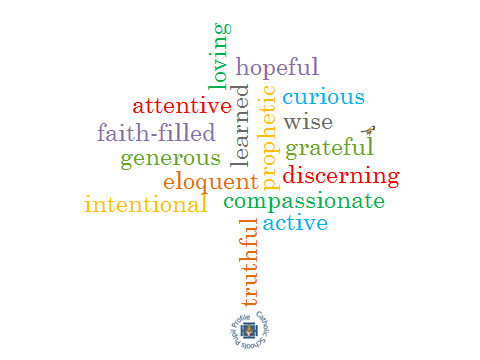 Catholic School Pupil Profile Faith-filled and Hopeful What does this mean? Catholic Schools help their pupils grow by passing on the living and the faith-filled tradition of Jesus Christ; by having persevering faith in the pupils, and by encouraging them, in turn, to have faith and hope in others. Autumn 2 Ordinary Time— Green cloth. During November, our prayer focus will include pictures of Saints e.g. St. Oscar Romero or St Benedict. We also include a book / basket for people to include the names of those who have died.